Hey there! Winter has come, and other than the fact that Game of Thrones season is near (Don't tell me you didn't think about that when I mentioned winter!) it is also time to organize the closets and put away all the old stuff. But if you're anything like me, there are probably one or two t-shirts in your wardrobe that you love so much, but they're either torn, old, or have permanent stains on them. We can't let them go, and we can't have them back. We bury them deep in our closets, hopelessly wishing for the day when the scientists finally come up with a product that magically cleans away all stains, or when a prophet rises that can miraculously repair old clothes. We just sit, hug our dear clothes, and wait. But it doesn't have to be like that. It's too soon to give up hope. And I have an idea. Do you like kittens? 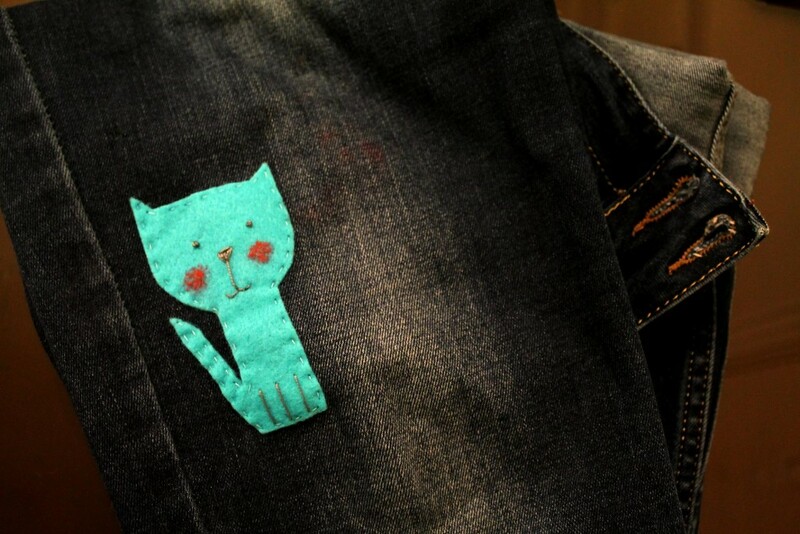 How would you feel if those ugly stains on your clothes suddenly disappeared, and a cute kitty replaced them? 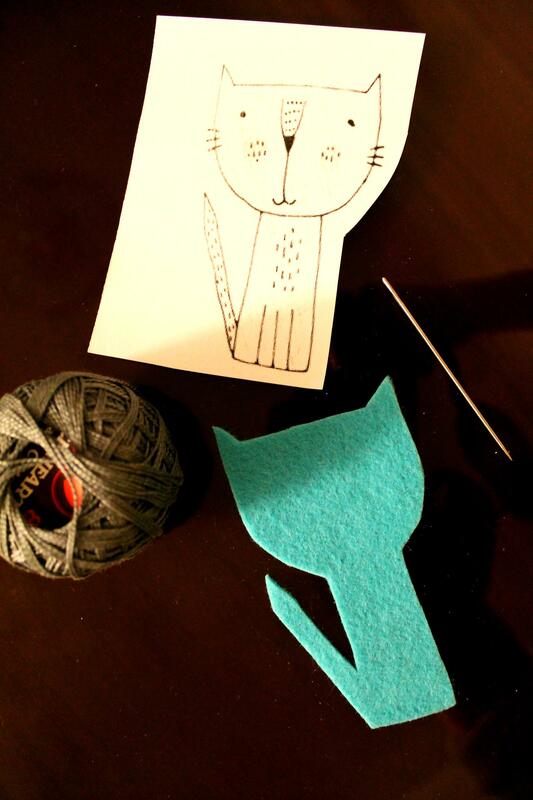 I am gonna teach you how to repair old clothes, and hide the ugly parts with a cute kitty! 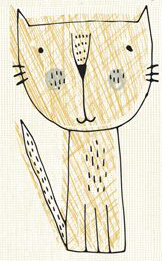 What You'll Need: A cat picture or drawing (you can find one on the web, draw it if you can, or just download the one we used) Felt in your preferred color and size Soapstone pencil for marking the fabric Pattern paper (tracing paper) A pencil Bobbin thread in the same color as your felt Sewing pins and needles Scissors Crochet thread And finally, the pair of pants you want your kitty to rescue! 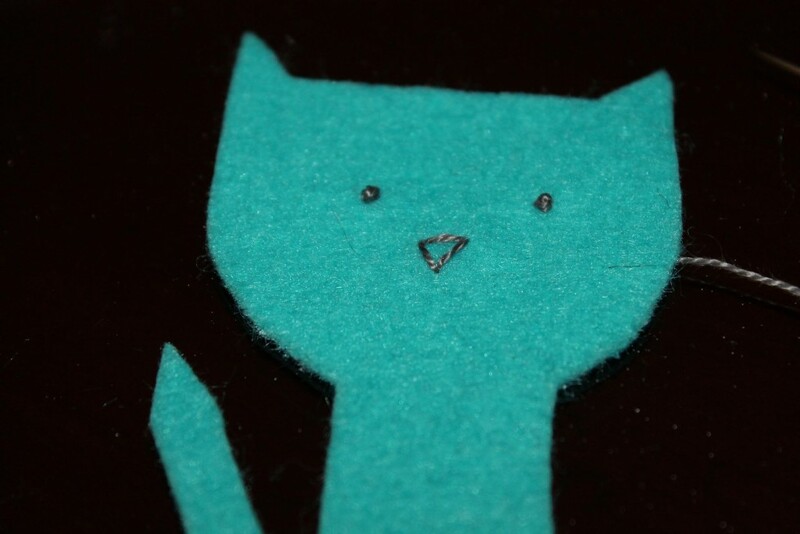 First thing we've got to do is to cut our felt in the shape of a kitty. 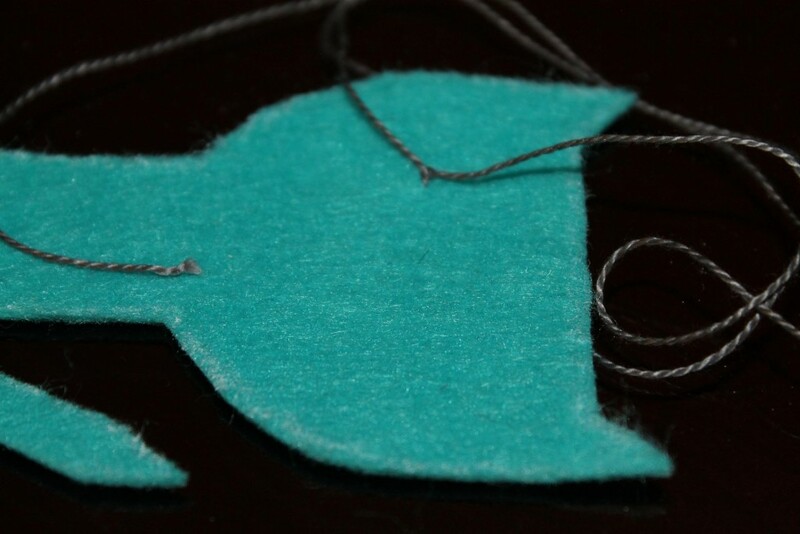 However, everyone knows that there are only few people in the world who can perfectly cut a shape on felt without drawing it first (Is there any?) and I'm certainly not one of these superartsies! As I'm not good at drawing cats either (or anything other than a tiny banana, for that matter), I just go the other way around and basically use the most genius, most awesome, and the most easy way there is! The ancient way of "CopyCatting"! Copycatting has been around for ages. The Maya probably knew about it, and the Marlik. Hell, I think even Venus and Aphrodite knew about it. In fact, they were quite good at it! They used to sit around in a room, take out the pencils they had stolen from the human kids down on earth, and start copycatting. It's that famous. And You lucky guys, are about to know the secret to becoming a master copycatter! 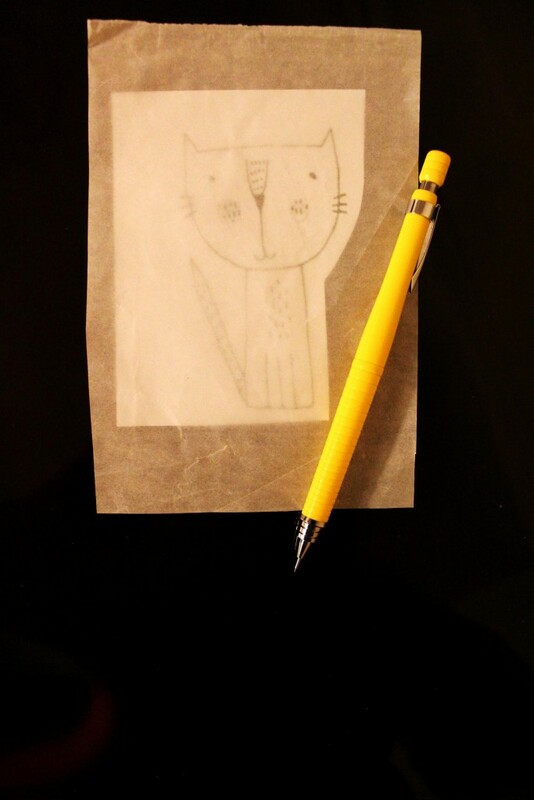 A proficient copycatter starts with placing the tracing paper on her cat design. 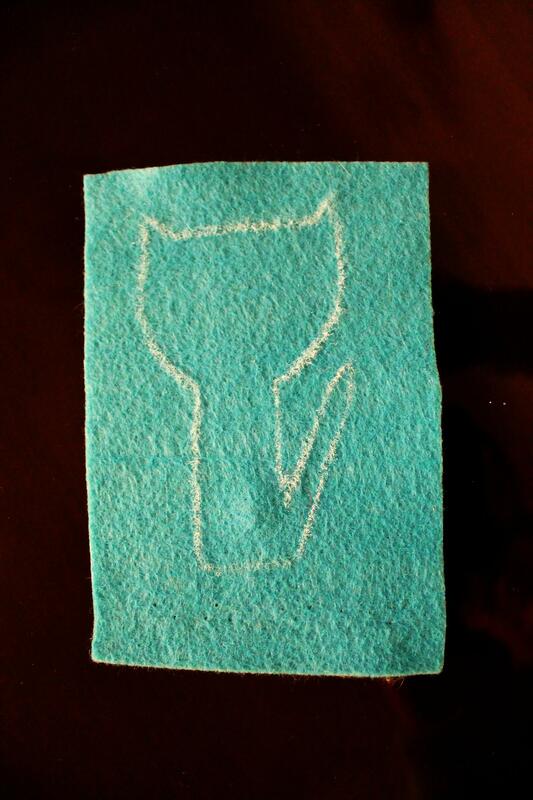 She or he then draws the outline and in this way, copies the shape on the trace paper. With the outline ready, the copycatter now has nothing more to do than cutting the shape out. In this stage, the great copycatters wipe the sweat off their face and then turn their cut shapes backward. 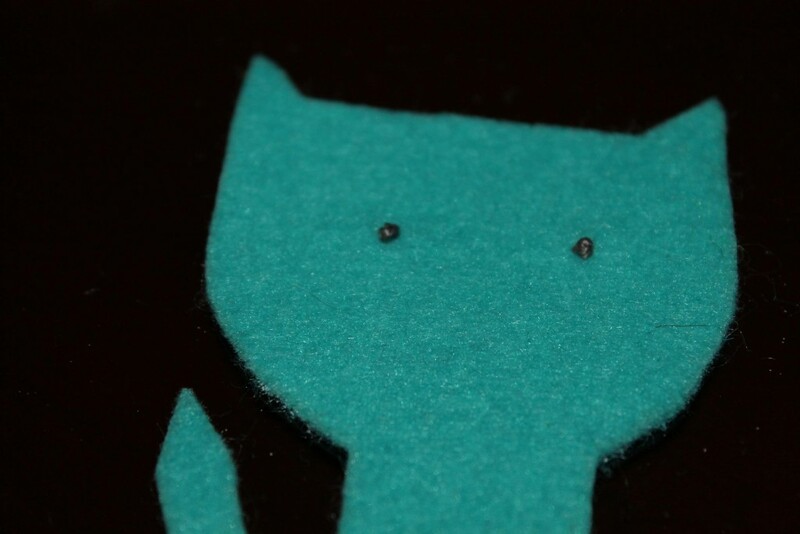 Because we need to transfer our shape to the felt. And we don't want a backward kitty, do we? Voila! Saved us all some time, didn't I? It's time to cut out the felt. 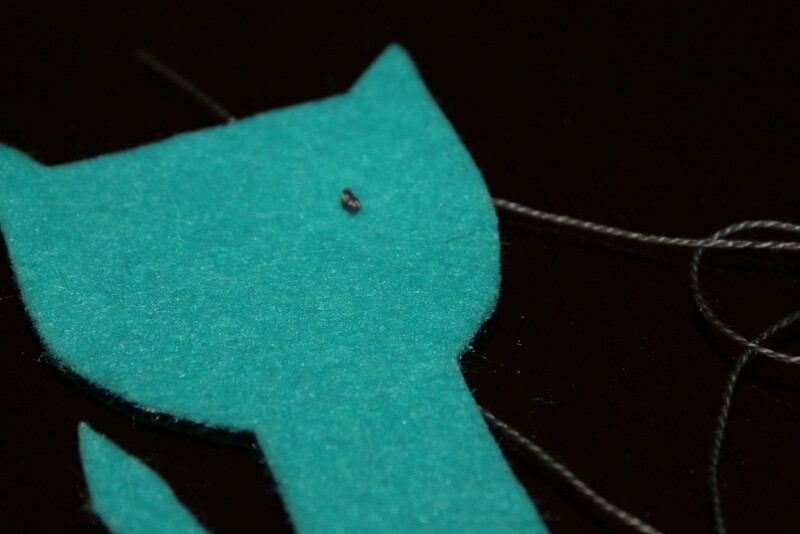 Felt doesn't really like to be cut, and would become crooked if you forced to cut it with blunt scissors. So put away those old scissors that only a 6 years old can use (and that's only because he is too short to take the sharp one in the upper drawer, not that he doesn't hate the one he has with all his heart) and get a practical, sharp edged pair. Because if you don't cut it nicely, it'll definitely show on your work and then everyone will think the 6 years old did it. 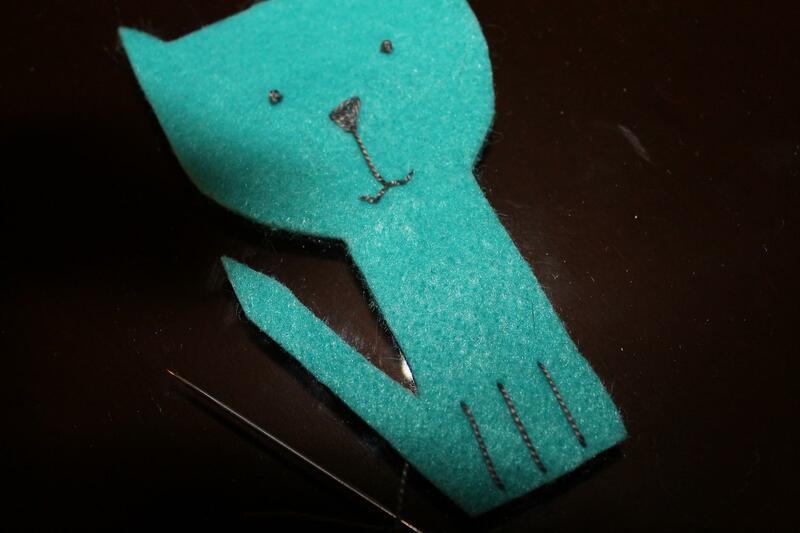 Our kitty is almost ready to come rescue and repair old clothes; he just needs a breath of life blown into him. That's what we need the crochet thread for. 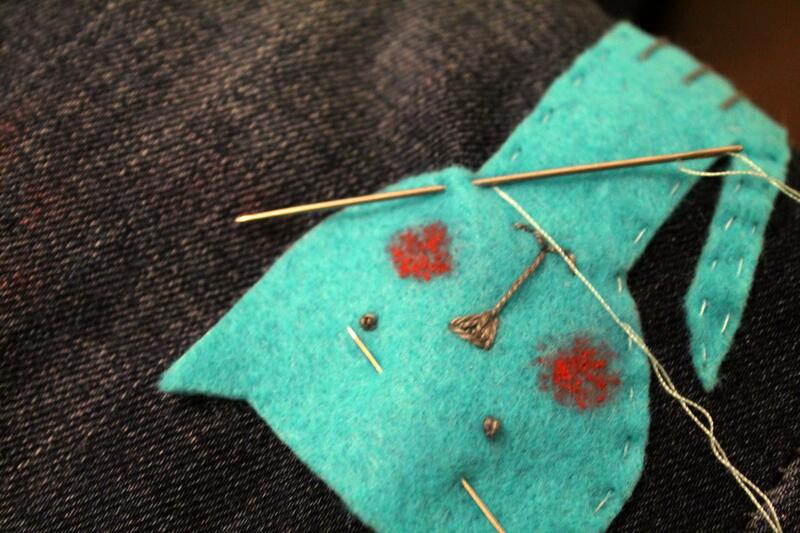 It's ok if you don't know much about stitching; The memories you have of your granny sewing patchworks will do! To make the eyes, we can use craft wiggle eyes, cute buttons, or simply stitch a circle shape and fill half of it, like they do for those longhaired anime girls who have nothing but short skirts in their wardrobe. I prefer a simpler way that I've found for us foreigners to the sew-land: knots! 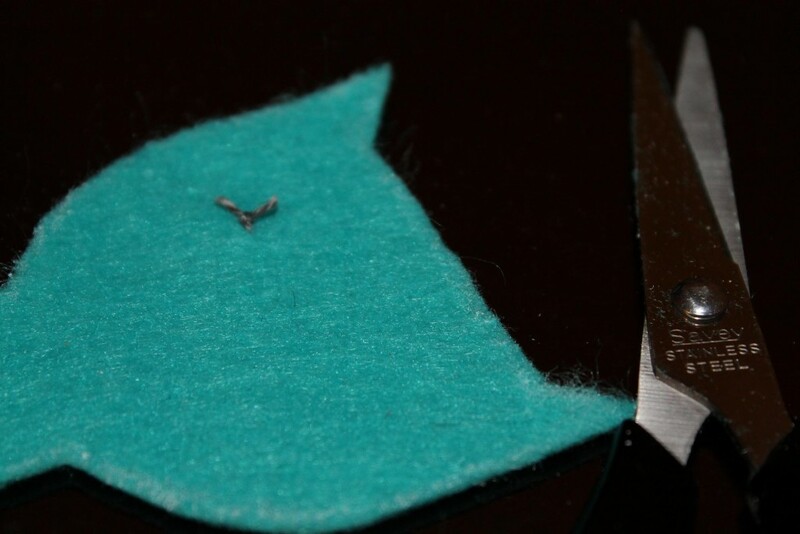 On a short piece of thread, tie a knot 3cm from the end. Then tie another one right on it, to make it bigger and more noticeable. This is your kitty's eye. With the help of a needle, pass the thread on one side of the knot through the felt, right on the spot where you want the eye. Turn the kitty backward and do the same thing with the other side of the knot. Make sure you pass the thread just next to the first one, but not too near; as the two holes might join together and then the knot is very likely to pull back through and disappear. When you're all done, you should have the double knot on the front of the kitty, and two loose ends hanging at the back. 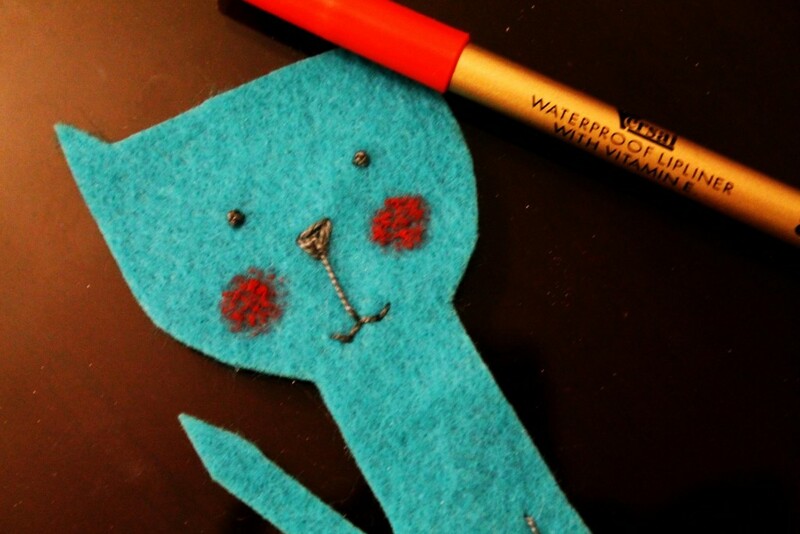 Slowly Pull the two loose threads at the back to tighten and shape a cute dot eye. 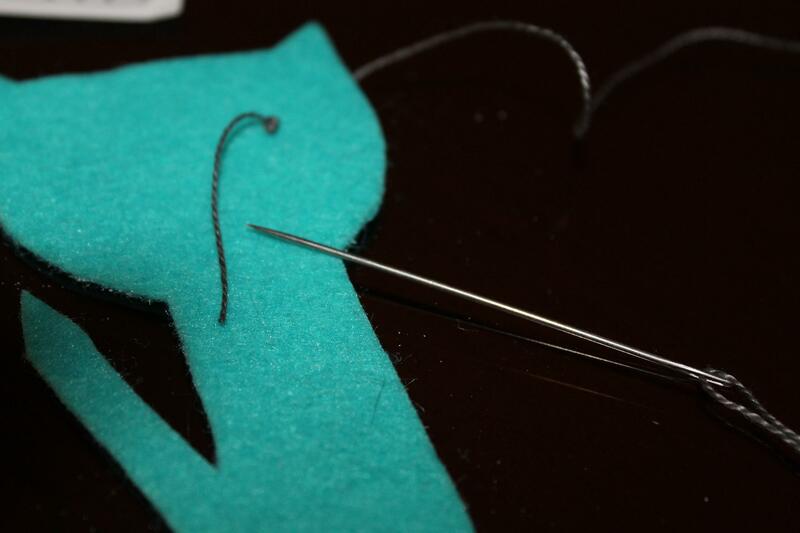 At the back of the felt, tie the loose threads so that everything stays steady and nice in place. 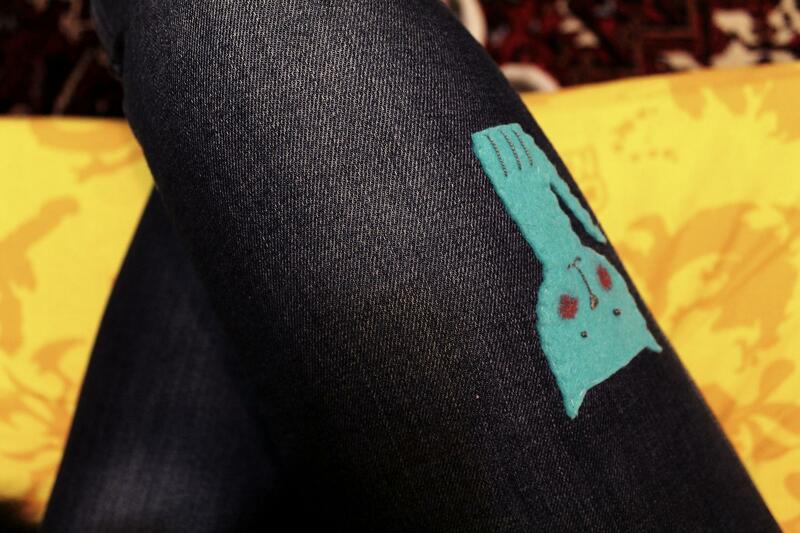 And cut the extra thread to end up with a neat work. Repeat this process to upgrade California Mountain Snake here to Garfield. To let the kitty actually inhale the breath of life you've been blowing into him, he'll need a nose, right? 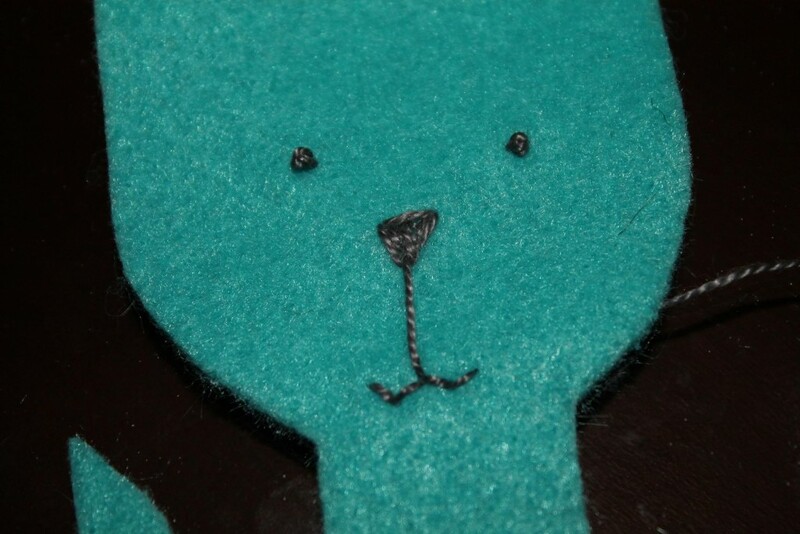 You can make that by stitching three simple lines. Like this: And then fill the triangular. Again, with tiny simple lines. 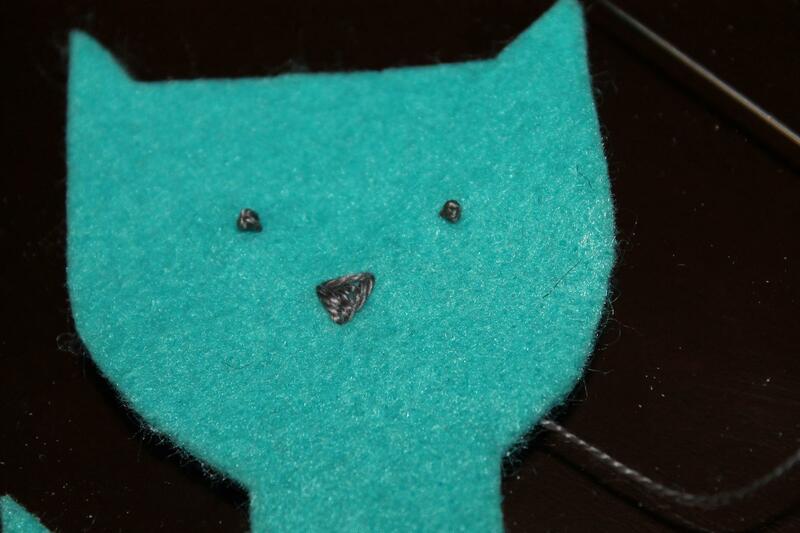 One straight and four diagonal lines can create a mouth for the kitty to mew with! And three parallel lines give him legs to stand on. Congrats! Your cutie kitty is finally ready! If you want him to be a little shy, grab a make up pencil and let him show his rosy cheeks! 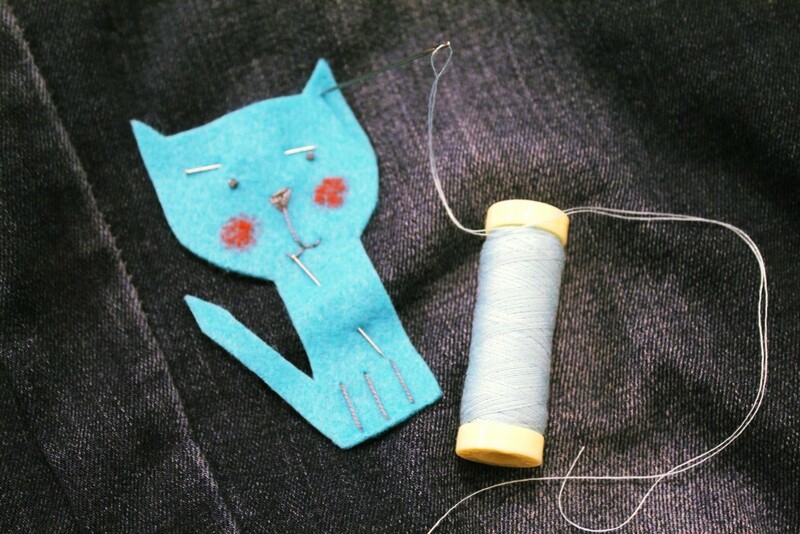 It's time to let kitty get busy and repair old clothes! 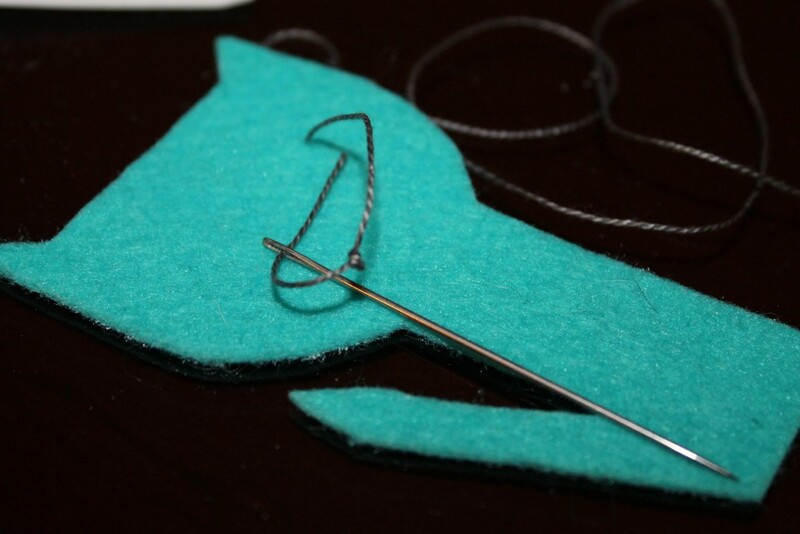 If you had enough sewing skills to come this far, then you can do this step too. 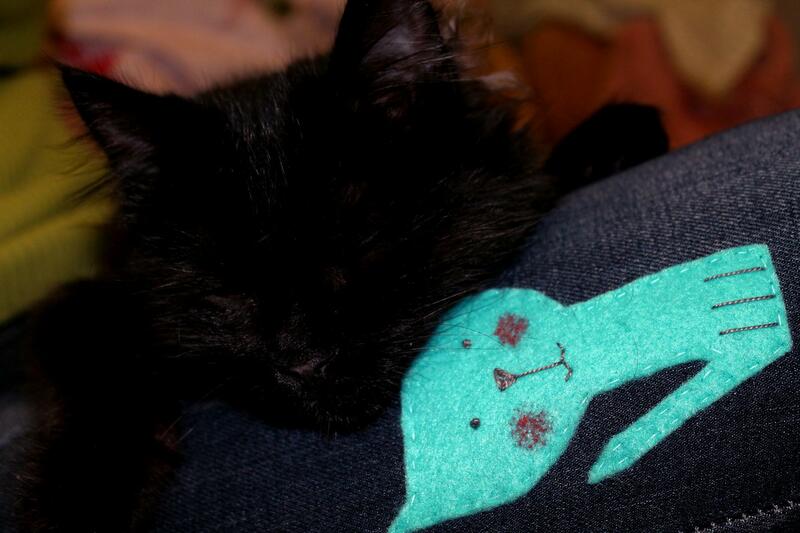 To sew the kitty to your pants, you'll first have to fix him on the fabric with pins. Oh, and please, don't do this while you're wearing these pants. It's quite a basic sewing process. 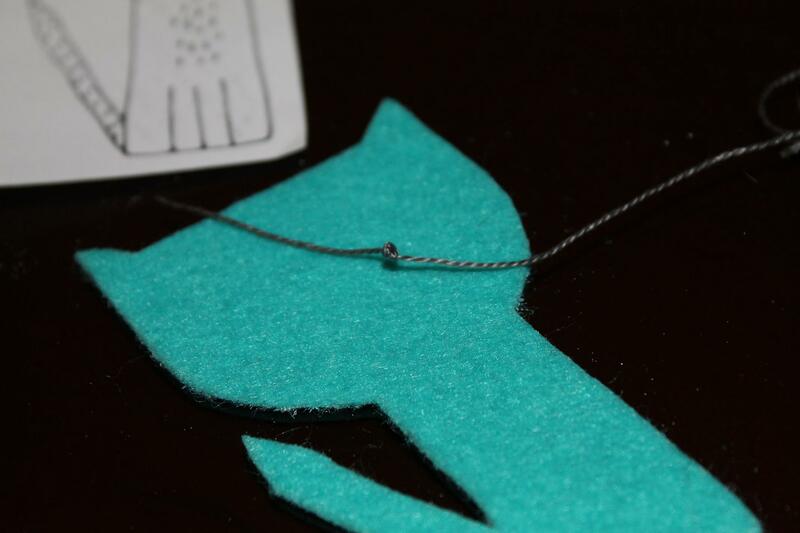 Grab a bobbin thread which is the same color as your felt, and do what your instincts tell you. You know, needle in, needle out. Just put one hand inside the pants to be able to pull the thread. If you still have trouble, just do a search. Tons of sewing instructions and videos are just waiting desperately to show up on a Google results page. When all is done, make a finishing knot to secure your work. And voila! 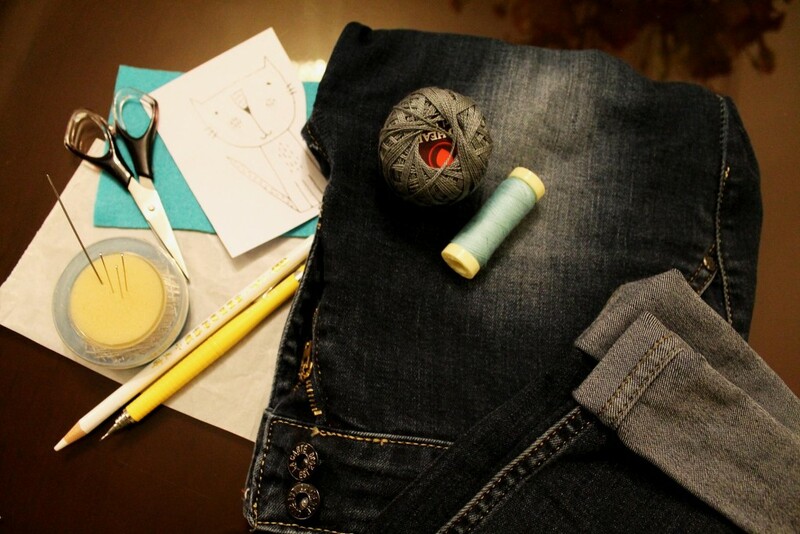 You now know how to repair old clothes! Your cute companion is ready to take a walk with you! Have fun you two!